NAIROBI, Kenya, November 15, 2010 (ENS) – The High Court of Kenya has reversed an order by President Mwai Kibaki to downgrade the Amboseli National Park to a game reserve. The High Court found the President’s move to “de-gazette” Amboseli was illegal. One of Kenya’s most popular parks, Amboseli lies northwest of Africa’s highest mountain, Mount Kilimanjaro, about 140 kilometres (87 miles) south of the capital city Nairobi. The park covers 392 square kilometers (151 square miles) at the core of an 8,000 square kilometer (3,100 sq mile) ecosystem that spreads across the Kenya-Tanzania border. It was declared a UNESCO Man and the Biosphere Reserve in 1991. Visitors come from around the world to view the park’s elephants, zebra, gnu, baboons, hippopotamus, buffalo, spotted hyena, waterbuck, Maasai giraffe, Thomson’s and Grant’s gazelle, impala, lions, leopards and cheetahs as well as Endanagered black rhinos. Amboseli has been identified as an Important Bird Area with over 400 bird species recorded. More than 40 birds of prey have been seen in the park, including Vulnerable lesser kestrel, Falco naumanni, which uses the site during its migration period. At independence in 1964, the area was the Maasai Amboseli Game Reserve and was managed by the Olkejuado County Council. Amboseli was gazetted as a national park by President Jomo Kenyatta in 1974, but in 2005 the park management reverted to Okejiando County Council, and the name changed to Amboseli National Reserve. The downgrading of Amboseli National Park was ordered by President Kibaki ahead of Kenya’s first Constitutional Referendum in 2005. 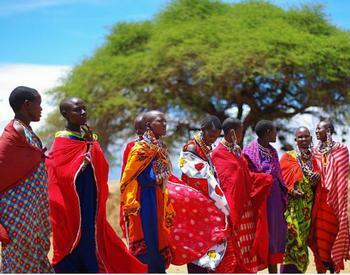 The President’s move was seen as an attempt to gain support from the Maasai community to support the new constitution. More than 20 wildlife groups have urged President Kibaki to reverse his decision. The High Court’s ruling means that management of Amboseli now shifts back to the Kenya Wildlife Service from the Olkejuado County Council and the Maasai tribe. Amboseli is surrounded by six communally-owned group ranches that are wet season dispersal areas for wildlife, and whose management has direct influence on the ecological stability of the park. The park is renowned for being one of the best places in Africa to get close to wild elephants. 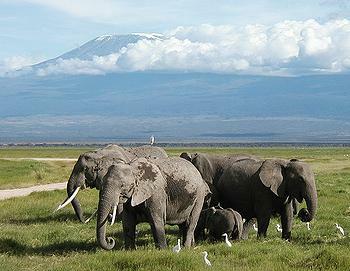 There are some 1,500 elephants in the Amboseli ecosystem, which is kept green by the waters of Mount Kilimanjaro. Wildlife tourism is one of Kenya’s main sources of foreign revenue, and Amboseli brings in about $3.3 million a year from park fees and related tourist activities. This money helps administer Amboseli and other national parks in Kenya.